Mabiba Baegne | Congo Brazzaville - Congolese dance, percussion and song. Mabiba Baegne is an internationally acclaimed dancer, dance teacher and choreographer of traditional and contemporary African Dance. She was born in Congo Brazzaville and initiated into dancing by her grandparents at the age of eight. In addition to her Congolese dancing, Mabiba has studied West African dundun drumming with master drummer Famoudou Konate in Guinea, and was the first woman to teach this form in the US. Mabiba is an acclaimed singer and has toured and recorded with Salif Keita, master drummer Mamady Keita and Samba Ngo. Kiazi Malonga | Congo Brazzaville - Congolese dance and percussion. Kiazi Malonga is the current musical director of Fua Dia Congo (Oakland, CA). 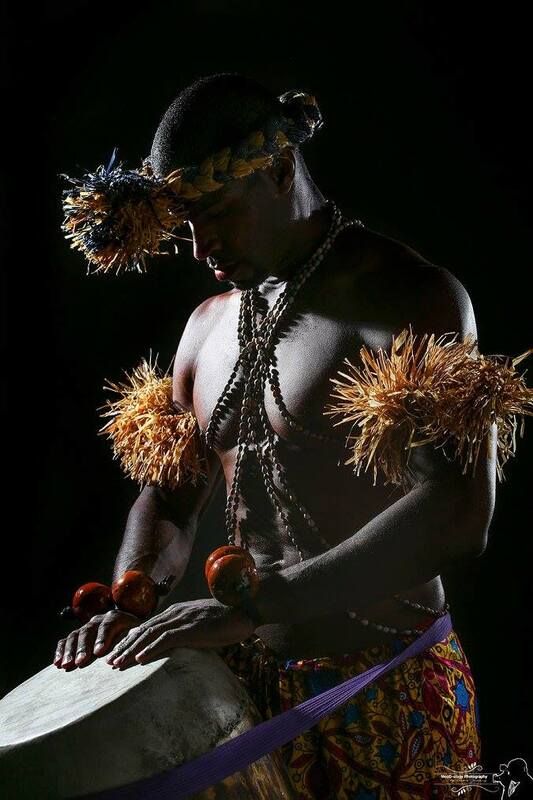 The son of Congolese drumming and dance master Malonga Casquelourd, Kiazi learned about the art form as a young child, and has continued to perfect his craft over the years. He teaches Fua Dia Congo drum classes weekly at the Malonga Casquelourd Center for the Arts. Through these classes, he and the group continue in their dedication to preserve, promote, and study Congolese culture. Kiazi graduated from Stanford University with a Bachelor of Arts in International Relations, received a Master of Arts in International Relations from American University, and received a Master of Arts in Natural Resources and Sustainable Development from United Nations University for Peace. Souleymane Solo Sana | Mali - Malian Dance. Souleymane Solo Sana is dedicated to the research and preservation of traditional dance, music and culture. He is a principal member for one of the premiere companies of Mali, Ballet Du District de Bamako. Solo has performed with renown griots and musicians, and with international artists such as Djeneba Seck and Oumou Sangare. With an extensive knowledge of traditional dances of the Mande culture, he has become a highly sought after instructor for private and group lessons. Most notably, he has instructed internationally acclaimed dancers from the US including university instructors and Broadway performers. He is currently in the US performing, teaching workshops and leading school residencies for Jeh Kulu Dance and Drum Theater, as well as independently. Recent work includes dance instruction at the University of Vermont for the academic year, commissioned choreography for Maimouna Keita African Dance company in New York, as well as being a featured Artist in Residence at UNC-Greensboro creating original choreography for Robin Gee’s Sugarfoote Productions. Vieux Traore | Mali - Malian Percussion. Vieux Traore, a master djembefola/dununfola and experienced drum teacher from Bamako, Mali, began dancing and drumming at the age of nine and was trained in both traditional and modern rhythms from Mali. He was a member of several professional troupes in Mali, including Troupe Sewa, Troupe Districte de Bamako and the renowned group, Babemba. Phumelele Ntokozo Bohlela/Popit | South Africa - Nigerian Afrobeats and South African Dance. Phumelele Ntokozo Bohlela is a professional South African dancer. She created Popit, an empowerment movement through AfroBeats dance. Using rhythm, Popit brings people from all walks of life together.